I don't have to tell you that 2016 isn't ending particularly well for Samsung -- and it's largely because of the cancellation of their Note7 flagship phablet, which would have given them millions of dollars of additional profit to close the year. The good thing, though, is that the Korean Giant is now poised to bounce back from the terrible 'exploding smartphone' brouhaha by starting to tease tech bloggers and members of the media about the imminent release of the follow-up to the wildly successful Samsung Galaxy S7. Samsung set to launch its next flagship smartphone in January 2017? It’s all set to be an exciting 2017 as Samsung prepares to bring a diverse range of smartphones that will establish gadget heaven in the Philippines. Samsung has been continuously innovating and evolving its smartphones to provide consumers the best experience right at their fingertips, and it seems like Samsung’s next flagship phone release is guaranteed to raise the benchmark for smartphones in the Philippines. Rumor has it that it’s packed with the winning features we’ve seen in the Galaxy S and Note series and maybe even more! The upcoming offering will, in true Samsung fashion, sport the features that have made the brand a favorite among those who want the best smartphone for their dynamic lifestyle, whether it’s for posting on social media, watching videos, playing games, or a combination of all. The distinct Samsung features that have revolutionized the industry are sure to be found in the 2017 offerings, including the IP68 dust-resistant and water-resistant design that have awed heavy users with active lifestyles. It won’t be a surprise to hear about a powerful high-resolution front-facing camera with around 16MP that is perfect for capturing those double-tap worthy selfies that can be as clear as the photos taken with the rear camera. We’re betting that the next Samsung offering would go for bigger storage space, possibly up to 264 GB, to spare us from the trouble of having to delete well-loved memories because of limited space. Other features we’re looking out for: dual sim with expandable memory, an even longer lasting battery, fast-charging capabilities, and the return of the USB Type-C.
Expected to hit Philippine shores by the end of January, Samsung’s upcoming release seems like it’s out to define the shape and style of smartphones in 2017. 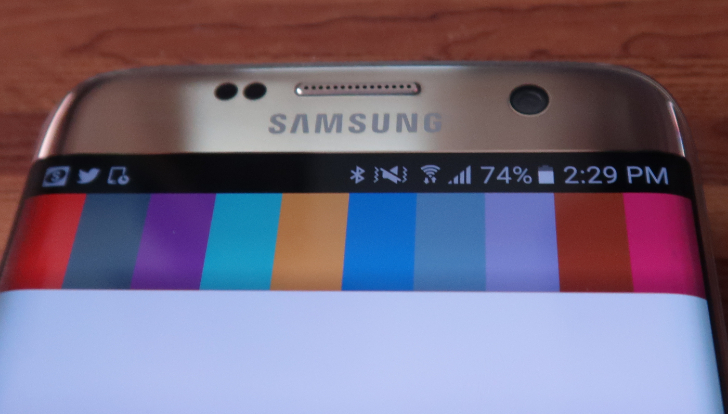 Could this be Samsung’s next flagship smartphone within its S and Note Series? Watch out for what the mobile giant has in store for the new year! ~ Note that despite coming from SamsungPH's official agency, the email gives a hodge podge of information about the much anticipated handset -- some sounding confirmed and others appearing as mere expectations. Confirmed SGS8 features include 1P68 Water and Dust resistance and around 16 MegaPixel resolution for the front camera while expected or potential specs include 264GB of ROM, Dual SIM capability, bigger battery with fast charge support, and USB Type-C port. Oddly enough, the email didn't mention anything about the Iris Scanner and Dual Camera Module, which are two of the heavily rumored new features of 2017 flagship Galaxy model. Also, there's no word if Samsung Galaxy S8 will have two versions (regular and Edge variant) just like the SGS7 from 2016.